Air Gabon was founded in 1951 as Compagnie Aerienne Gabonaise to fly local flights from Libreville with Beechcraft and DeHavilland aircraft. 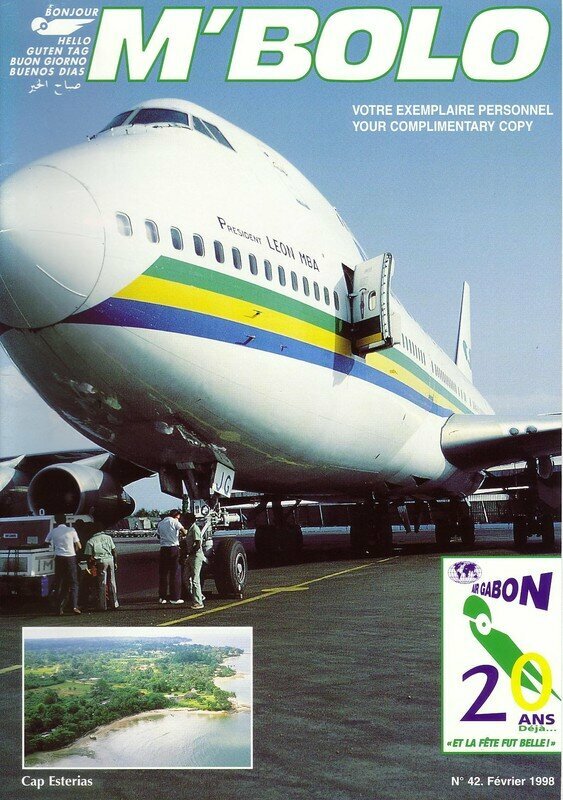 It became the national flag carrier in 1968 and was named Societe Nationale Air Gabon. It became known as TransGabon. In 1977 Gabon withdrew from the transnational Air Afrique and on 2 June 1977 the re-named Air Gabon flew its first intra-African flight from Libreville to Lome and Abidjan. The next day an international service from Libreville to Paris was introduced. By then two Fokker F28s, a Boeing 737-200 and a Boeing 747-200 were in use. By 1996 the Boeing 767 had been introduced. ADA JEANNE OLGA mes plus belle année à AIR Gabon sur la photo "PN" de l'album "ak. M' bolo...Air Gabon by DSp"
Grande emotion sur la photo "GN" de l'album "ak. M' bolo...Air Gabon by DSp"